Congrats to Martin Puryear, NA for being chosen to represent the US at the 2019 Venice Biennale! Martin Puryear, Big Bling (2016). Photo courtesy of Madison Square Park. Martin Puryear, who is known for his large-scale wood sculptures, has been named the US representative to the 58th Venice Biennale, opening next spring. Brooke Kamin Rapaport, the deputy director and senior curator of New York’s Madison Square Park Conservancy, will curate the pavilion. News of Puryear’s selection by the US State Department’s Cultural Programs Division, Bureau of Educational and Cultural Affairs, was rumored over the weekend in a Tweet by New York magazine art critic Jerry Saltz, and was confirmed by officials this morning. University of Chicago art history professor Darby English has been tapped as the pavilion’s exhibition scholar, while Tod Williams Billie Tsien Architects are the exhibition designers. Puryear, who is 77, will create a new site-specific work, including an outdoor installation and sculptures that will be displayed in the pavilion’s galleries. The exhibition will also include outreach to under-served youth, overseen by New York’s Studio in a School and the Istituto Santa Maria Della Pietà in Venice, according to the New York Times. The biennale’s main exhibition, curated by Ralph Rugoff, is titled “May You Live in Interesting Times,” and is inspired in part by the phenomenon of fake news. This is the first time that an institution for public art has been selected to organize the US pavilion in Venice. In 2016, the park hosted Puryear’s sculpture Big Bling, a 40-foot-tall curved tower of chainlink fencing and plywood, topped with a shackle gilded in 22-karat gold leaf. 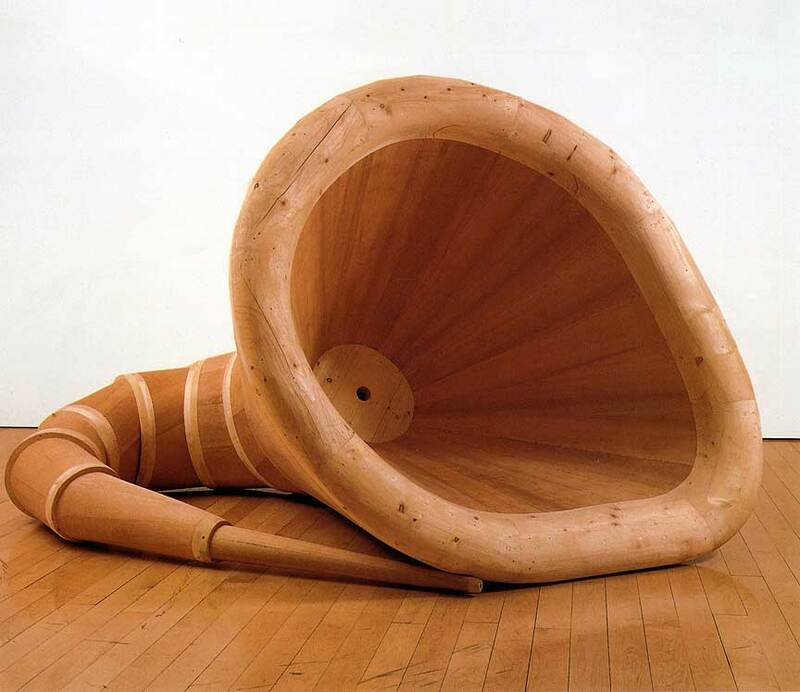 Martin Puryear, Plenty’s Boast (1995). Photo courtesy of the Nelson-Atkins Museum of Art, Kansas City, Missouri/McKee Gallery, New York. The Venice announcement comes just a few months shy of the 30th anniversary of Puryear’s selection to represent the US in the 1988 Sao Paulo Biennale, at the time dubbed “the most prestigious international art exhibition after the one in Venice” by the New York Times. It was the first time a black artist had been the sole representative of the US at a prominent biennial. Martin Puryear, Desire (1981). Collection of Panza di Buono, Varese, Italy. Photo courtesy of McKee Gallery, New York. Puryear is the second African American artist in a row to represent the US in Venice, following Mark Bradford in 2017, whose critically acclaimedexhibition “Tomorrow is Another Day” was organized by the Rose Art Museum at Brandeis University in Waltham, Massachusetts, and the Baltimore Museum of Art. 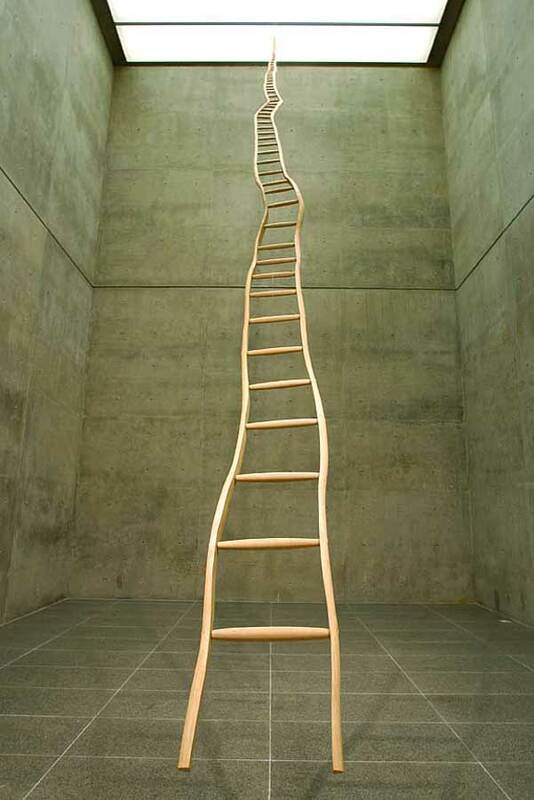 Martin Puryear, Ladder for Booker T. Washington (1996). Installation view at the Modern Art Museum of Fort Worth, Texas. Photo by David Woo, ©David Woo. The US government grant is $375,000, which includes $125,000 earmarked for staffing the pavilion during the exhibition’s run, though that total must usually be supplemented by outside funding. Venice’s Peggy Guggenheim Collection oversees operations of the pavilion, built in 1930 and owned by the Solomon R. Guggenheim Foundation since 1986. The US pavilion at the Venice Biennale. Photo by Elisabetta Villa/Getty Images. Puryear was the subject of a retrospective at New York’s Museum of Modern Art in 2007-08, which later traveled to the National Gallery of Art in Washington, DC, the San Francisco Museum of Modern Art, and the Modern Art Museum of Fort Worth. A travelling 2015 survey, “Martin Puryear: Multiple Dimensions,” was organized by the Art Institute of Chicago. The artist appeared in the Whitney Biennial in 1979, 1981, and 1989. The winner of a Guggenheim Fellowship in 1982 and a MacArthur Foundation Fellowship in 1989, Puryear was awarded the National Medal of Arts and National Humanities Medal by former President Barack Obama in 2011. The 58th Venice Biennale will take place May 11–November 24, 2019.